Choice Provisions, the team behind the platformer series BIT.TRIP, and Accolade have announced that their quirky auto-runner Bubsy: Paws on Fire will be launching later next month. Bubsy: Paws on Fire features four playable characters, each with their own unique game mechanics and an all-new story featuring the unlikely alliance between Bubsy and his archrivals, The Woolies. 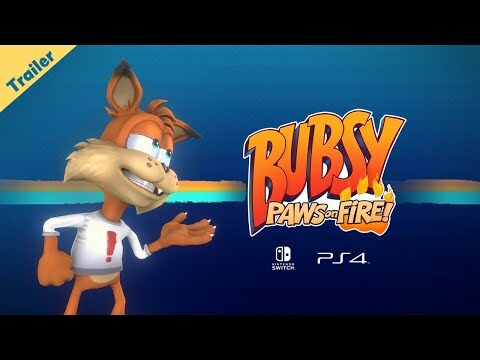 Bubsy: Paws on Fire will launch digitally on 16th May 2019 for Windows, PS4 and Nintendo Switch. Website Bubsy: Paws on Fire!